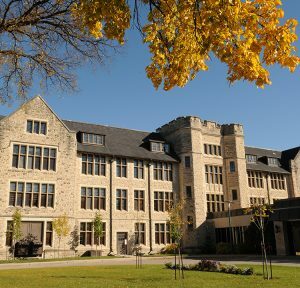 Since 1999, MB Seminary has operated from two main campuses in Canada. MB Seminary partners with three other denominational seminaries in Langley, BC, on the campus of Trinity Western University (TWU) in a consortium called Associated Canadian Theological Schools, otherwise known as ACTS Seminaries. MB Seminary also partners with the Graduate School of Theology and Ministry on the campus of Canadian Mennonite University (CMU). With courses offered on the Tyndale campus in Ontario and partnerships with teaching churches across Canada, MB Seminary will reach beyond fixed geographical locations in order to bring education and ministry equipping closer to MB churches as we partner together for the mission of the Canadian Conference of Mennonite Brethren Churches. As the seminary for the Canadian Conference of Mennonite Brethren Churches, we equip and educate current and future pastors, missionaries, counselors, scholars, and leaders for congregational or marketplace ministry within the Mennonite Brethren constituency. Our goal for every student is that they become a passionate and committed follower of Jesus, biblically astute and theologically aware, culturally discerning, and active in mission through lifelong learning and training opportunities. MB Seminary provides a diverse offering of courses and fully accredited degree programs that prepare people for effective leadership and ministry. Our faculty within these partnerships bring a clear understanding of what it means to be an evangelical-Anabaptist Christian, while simultaneously working collaboratively with professors from other denominations in training people for effective service. Faculty / Access to scholars in their theological disciplines, as well as having experience in professional Christian service. Programs / Ten accredited degree programs specializing in Christian leadership, pastoral ministry, cross-cultural studies, marriage and family therapy, and theological research that incorporate Mennonite Brethren courses articulating evangelical-Anabaptist perspectives. Accessibility / Courses in multiple locations and formats through accredited institutions. Financial Aid / A generous financial aid program enabling students to be educated and equipped to reach Canada and the world for Christ. The life giving power, wisdom, and authority of the Scriptures which call us to unite around the essentials of the faith, commitment to holy living and the pursuit of the mission of the Church in the world. The Body of Christ and its mission of Christ’s ministry to the world, our connectedness with our partnering denominations and the thousands of churches they represent, and the importance of practical approaches to ministry that are responsive to the evolving needs of our constituents. The multicultural diversity of God’s world-wide family, and therefore we train culturally skilled leaders who have a passion for making disciples in Canada and around the world. The transformative education that forms within us the likeness of Christ, inspiring us toward self-understanding, loving community, scholarly excellence and skill in servant leadership. The dynamic learning context of a Christian university community where scholarship, godliness, knowledge, skills, and dialogue enhance our capacity to be effective in ministry, representing the Good News of Christ to the world. Our unique collaborative processes and relationships which foster godly unity, shared purpose, innovative synergy, and respect for the missions and needs of our seminary partners. Mennonite Brethren have been leaders in biblical and theological education through the creation of Bible schools and colleges to the development of a seminary. Founded in 1955 and located in Fresno, California, the Mennonite Brethren Biblical Seminary was the result of the merger of the Bible and Theology Department of Tabor College and the graduate work at Pacific Bible Institute (PBI) (later Fresno Pacific College and now Fresno Pacific University). At the time of its formation it was owned and operated by the Board of Education of the United States Mennonite Brethren Conference on behalf of the Mennonite Brethren Church and the Krimmer Mennonite Brethren Church. Several members of the faculties of each two schools were chosen to form the new faculty. The first classes began on 8 September 1955 in the administration building of Pacific Bible Institute at 2149 Tuolumne Street in Fresno. The first president was B. J. Braun and the first dean was G. W. Peters. The Bachelor of Religious Education and Bachelor of Theology degrees were offered with PBI along with the Bachelor of Divinity and Master of Arts in Missions on the graduate level. By the fall of 1956 the school was located on a six-acre (2.4 ha.) campus at the corner of Chestnut and Butler Streets, adjoining the future campus of the Pacific Bible Institute. In 1963 the Cornelius Hiebert Library was built, as a joint project with Fresno Pacific College. 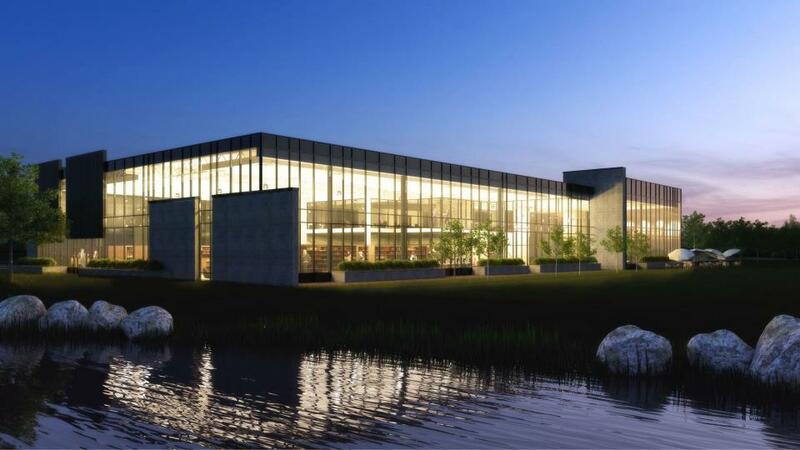 Other facility additions have included a prayer chapel (1967), housing facilities (1967), additional office space (1970), a library extension (1980), and a new educational wing with classrooms and lounges (1982). In 1974, the Center for Mennonite Brethren Studies was established and the Center for Training in Mission/Evangelism in 1984. The Seminary received accreditation by the Western Association of Schools and Colleges in 1972 and from the Association of Theological Schools in 1977. In 1975 the Canadian Conference of Mennonite Brethren Churches became a partner in the school, and the seminary was transferred to the General Conference of Mennonite Brethren Churches. The conference appointed a board of equal numbers of American and Canadian members. 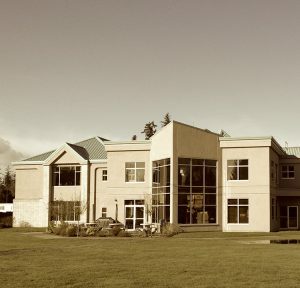 In 1995, MB Seminary started the BC Centre in Abbotsford, British Columbia, and in 1999 MB Seminary became one seminary in three locations as it became a full member of the Association of Canadian Theological Seminaries (ACTS) location at Trinity Western University in Langley, British Columbia (BC) and a part of the Winnipeg Centre for Ministry Training. 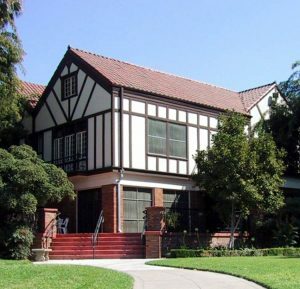 In June 2010, the seminary property in Fresno was transferred to Fresno Pacific University and renamed Fresno Pacific University Biblical Seminary later that year. Declining enrolments and budget constraints had led to the conclusion that the Fresno campus was no longer viable on its own. In March 2011, the Mennonite Brethren Biblical Seminary Inc. board transferred the campus at ACTS in Langley, BC to the Canadian Conference of Mennonite Brethren Churches and Mennonite Brethren Biblical Seminary Canada (later referred to as MB Seminary) was established with centres in Langley and Winnipeg. Bruce L. Guenther became president of on February 1, 2012 after serving as interim president for the previous year. In 2016, Bruce Guenther resigned from the presidency to return to his full-time faculty role. Mark Wessner was appointed by the board to serve as MB Seminary’s second president beginning in July, 2016. In the fall of 2018, MB Seminary announced new partnership agreements with Tyndale Seminary in Toronto, Ontario and Horizon College & Seminary in Saskatoon, Saskatchewan. The ACTS World Campus was officially launched in January, 2019, providing students with the opportunity to earn their seminary degree eight weeks at a time from anywhere in the world.